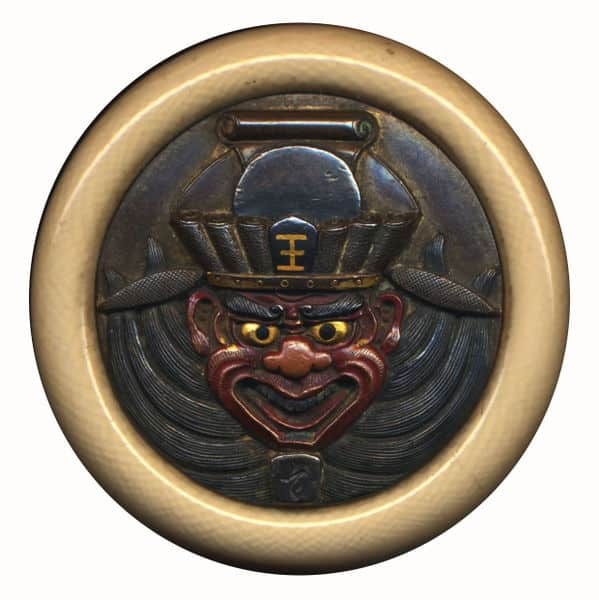 Shakudo is a Japanese alloy used in sheet metal inlay or wire inlay. The technique involves inlaying gold, silver, and copper into a darkened copper base. Usually, shakudo is composed of 75% copper and 4-25% gold and 5-20% antimony. In contemporary jewelry, it can be found in Mokume Gane (from the Japanese for “wood grain” Mokume-Gane is a mixed-metal laminate showing distinctive layered patterns).